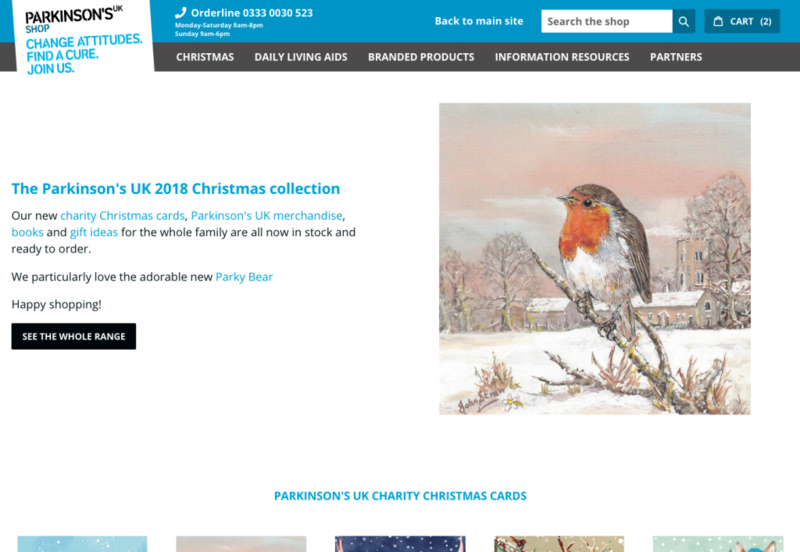 Parkinson’s UK was looking for support to assist the build of their new Shopify store, however they found that much-needed functionality could not be achieved through the existing Shopify app ecosystem. They wanted an agency that could build bespoke functionality around conditional product tax exemption, help them integrate donations into their shop front and bring the Shopify aesthetics inline with the main site. It was important that the supplier could deliver quickly as Parkinson’s was working with a tight delivery deadline. 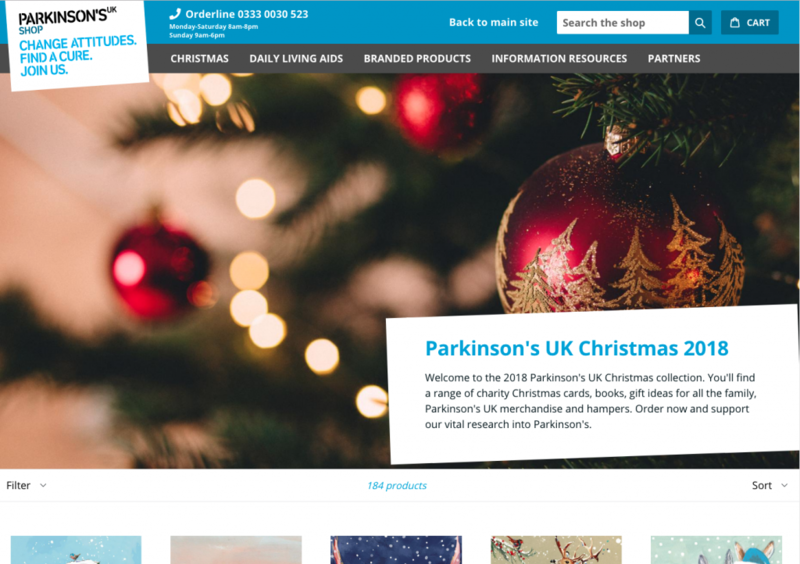 Add10 worked closely with Parkinson’s to scope out the requirements for both sets of functionality to produce a solution that integrated seamlessly with the online store design and with their existing fulfilment services. 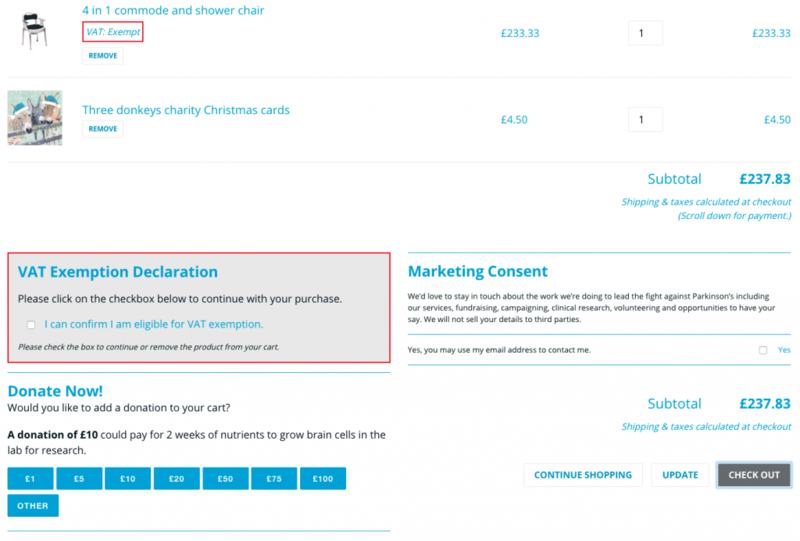 Customers are able to choose VAT exempt versions of products with checkout prompts to help provide relevant and accurate information to the fulfilment service. The Shopify theme was modified to closely match the main site to provide a seamless experience between websites. The quick delivery of the solution meant that testing could be carried out in time for the desired launch date with no delays. The shop has been well received by customers.